Merseyside takes its name from the River Mersey and consists of five metropolitan boroughs adjoining the Mersey Estuary; Liverpool, Sefton, Knowsley, St Helens and the Wirral. It is divided into two areas by the Mersey Estuary. With the Wirral located on the west side and the rest of the county located on the east side. Both sides are linked by road and rail tunnels and the Mersey Ferry, made famous by the Gerry and the Pacemakers song, 'Ferry Cross the Mersey'. 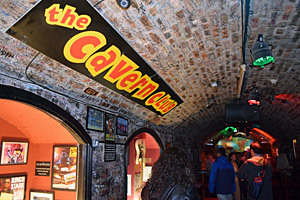 Merseyside achieved musical fame in the 60s, after producing a number of classic rock legends, including the world famous Beatles. The historic docks at Liverpool have been extensively restored in recent years and now provide a wide variety of visitor attractions, including The Beatles Story, Maritime Museum, Tate Liverpool, plus many boutiques, bars and trendy restaurants. Lobscouse - (Norwegian for "stew") a type of lamb or beef stew eaten by sailors. 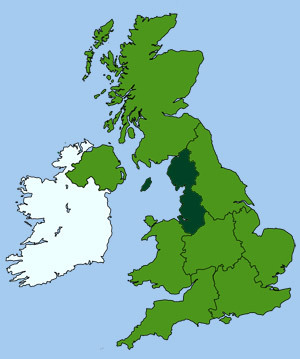 The word Mersey was an Anglo-Saxon term meaning 'boundary river' - the river Mersey once formed the natural boundary for the Anglo-Saxon kingdoms of Northumbria and Mercia.